NAHB's National Sales and Marketing Council (NSMC) has announced Gold Award Winners for The Nationals new home sales and marketing awards, recognizing home builders, developers, associates and consultants. DAHLIN project Miraval, with Pinnacle Residential, received a 2017 Gold Award for Best Architectural Design, Single-Family Detached Home 3,001-3,500 sq. 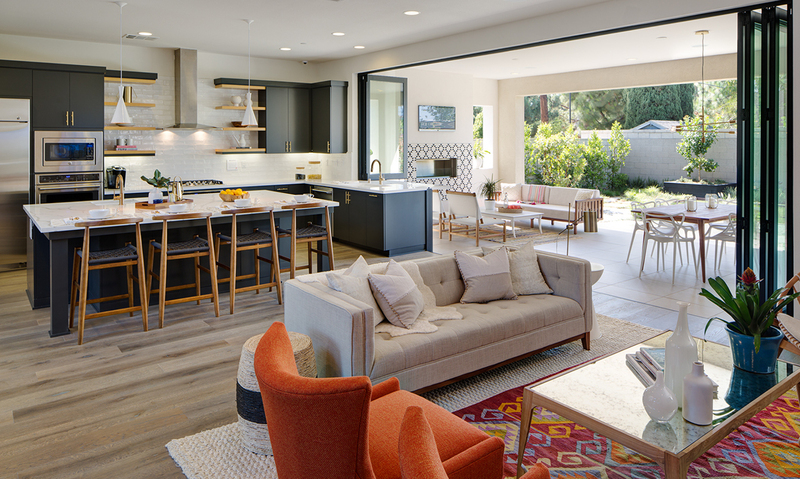 ft.
Miraval is an infill development of ten contemporary California-styled homes in Costa Mesa, California. The project's artisanal palette features a floating stairwell, expansive bi-fold doors opening up to an outdoor California room, and floor plans that frame a private central courtyard to enhance naturally bright interiors. The execution of the design and detail create the feel of a custom home and embody the indoor/outdoor living experience that is at the core of the Southern California lifestyle. The Nationals salutes and honors the best in the building industry for their determination, integrity, creativity and endurance. During a three-day judging process, a panel of seven industry professionals from across the country determined the Silver and Gold award winners from a field of over 1,100 entries. Silver Award Winners are the finalists for the Gold Award, and Gold Award Winners are the top vote recipients amongst the finalists in each category. Gold Awards were presented as part of the International Builders' Show at The Nationals Awards Gala on January 10, 2017 at the Hyatt Regency in Orlando, Florida.